Valentines day is upon us and what a great “holiday” for bakers. Treats galore, cookies, candies, cakes, and fudge there are so many fabulous options to choose from when looking for that perfect sweet for your sweetie. My daughter is thoroughly excited about being chosen to be on the valentines day committee for her class, she has already signed us up to make cupcakes, and I’m sure that they won’t disappoint. Valentine’s Day, orginally known asSaint Valentine’s Day was derived from early Christian and Roman traditions, one legend has it that the holiday has originated from the ancient Roman festival of Lupercalis/Lupercalia, a fertility celebration that used to observed annually on February 15. But the rise of Christianity in Europe saw many pagan holidays being renamed for and dedicated to the early Christian martyrs. Lupercalia was no exception. In 496 AD, Pope Gelasius turned Lupercalia into a Christian feast day and set its observance a day earlier, on February 14. He proclaimed February 14 to be the feast day in honor of Saint Valentine, a Roman martyr who lived in the 3rd century. It is this St. Valentine whom the modern Valentine’s Day honors. According to the Catholic Encyclopedia, there were at least three early Christian saints by the name of Valentine. While one was a priest in Rome, another was a bishop in Terni. Little is known or documented about the third St. Valentine except that he met his end in Africa. Surprisingly, all three of them were said to have been martyred on the 14th February. 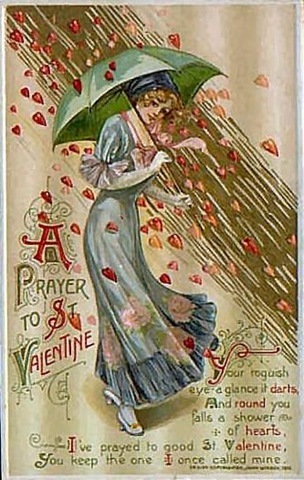 Thus 14th February became the day for all lovers and Valentine became its Patron Saint. It began to be annually observed by young Romans who offered handwritten greetings of affection, known as Valentines, on this day to the women they admired. With the coming of Christianity, the day came to be known as St. Valentine’s Day. Later Shortened to just Valentine’s Day. Candies are a traditional Valentine’s Day treat and here is a simple recipe that is sure to please! Line a baking sheet with wax paper, and set aside. In a food processor grind down 9 oreo cookies into a fine powder and set aside for use later. Take the remaining cookies and grind them down into a fine powder in the food processor, once well blended down begin to add the cream cheese and pulse in the processor until a dough begins to form, add the the powdered sugar and pulse some more until well blended. Take your cookie mixture and refrigerate for up to 1 hour to firm the dough up. 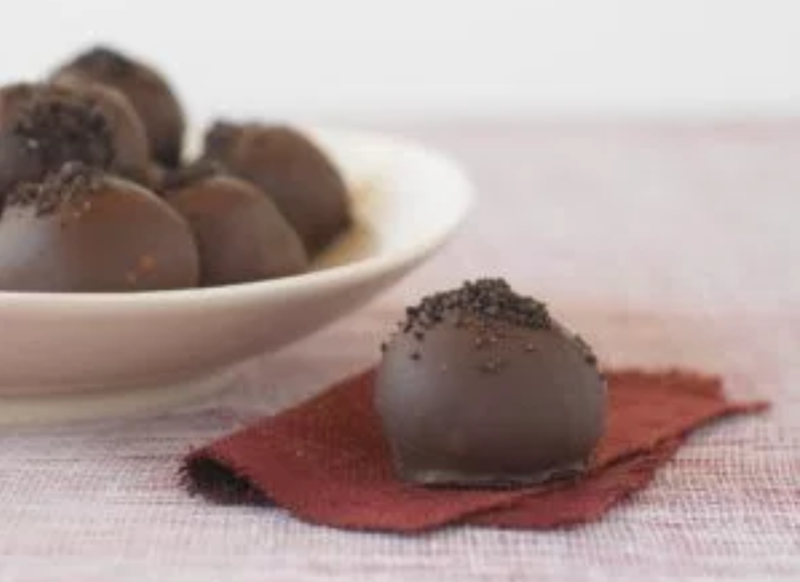 In a double boiler add the chocolate chips and carefully melt them down being careful not to burn them, once melted add the paraffin, melting it into the chocolate this will allow your chocolate to harden once cooled, and give it a glossy shine when your truffles are finished. Form the dough into 1 inch balls and carefully dip in the tempered chocolate, place them on the lined baking sheets to cool. Before they dry completely, top with the reserved powdered cookie bits. Chill for 10-15 minutes and remove from parchment paper, I place mine into small cupcake liners to be served. They are so delicious! Enjoy!